The infectious disease organism of primary concern is the koi herpesvirus (KHV, CyHV-3). Approximately one hundred herpesviruses have been identified. 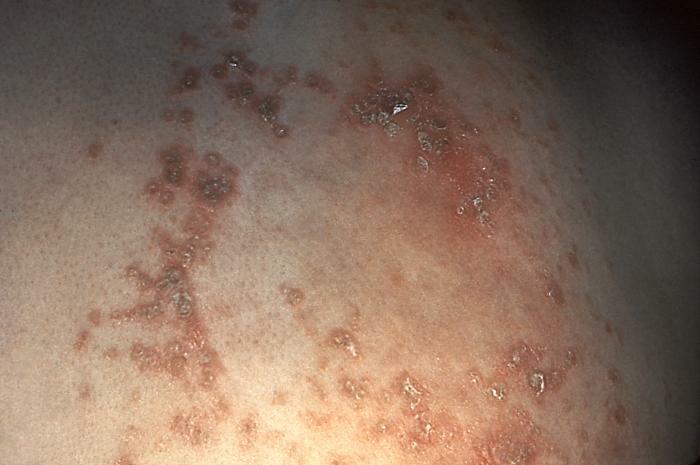 Herpesvirus infections are generally considered lifelong. 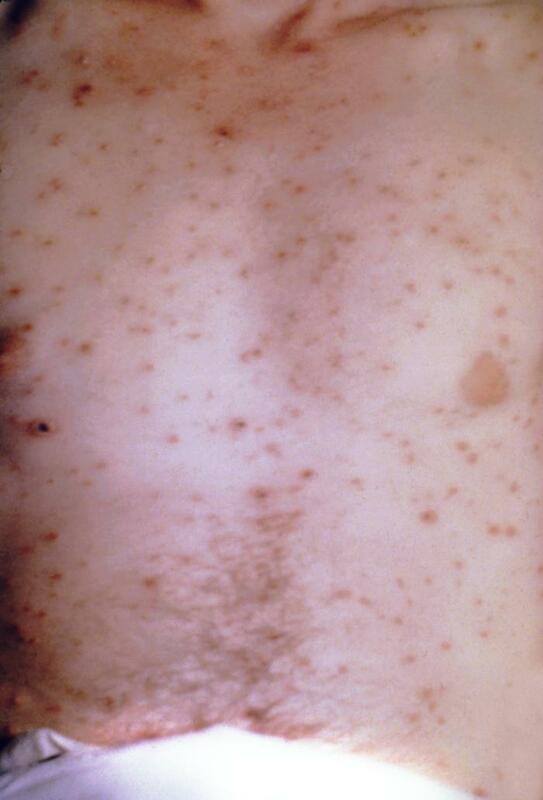 Latency or chronic persistant infection with intermittant shedding of the virus is a characteristic of herpesvirus. Our current knowledge of the site and immune mechanisms of KHV latency is lacking. KHV can be highly infectious and is usually associated with high fish mortality. 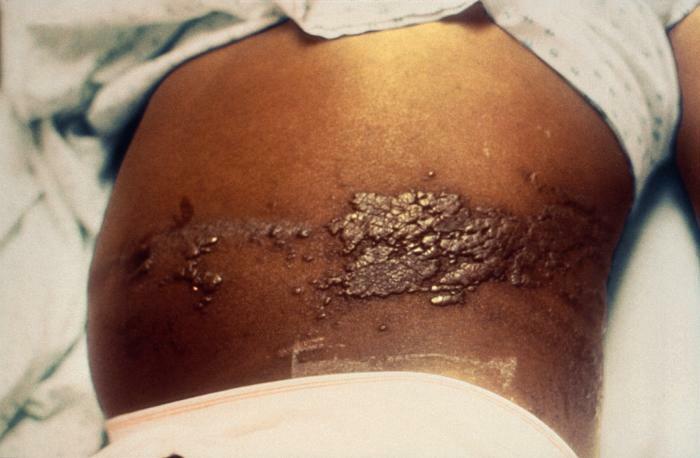 Without going into detail, the KHV associated disease causes gill necrosis, multiple organ failure, hemorrhage, and death. It is usually transmitted from fish to fish although infection has been demonstrated from infected filtration media to fish. Incubation times vary with water temperature. KHV has been found in most countries where koi or carp are found. Not all fish infected with KHV will die. Some may become ill but recover; others may become infected but never show symptoms of disease. Like humans with chicken pox, the survivors produce antibodies to KHV. The production of antibodies is also temperature dependent. Again, like humans with chicken pox, a portion of survivors will harbor the virus in low numbers. At a later time in life, when antibody titers fall to low levels and the immune system is compromised, survivors may experience virus multiplication and shedding. The exact process allowing this in the immune system is unknown. 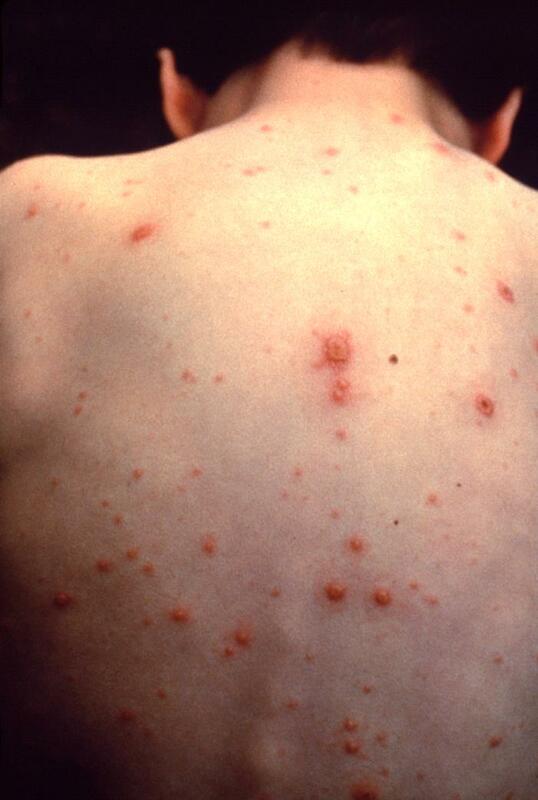 In humans, the reoccurrence and shedding of the chicken pox virus is evidenced by the “shingles” (herpes zoster), usually from the virus which has remained hidden in a nucleated nerve root for years. It is unclear where the KHV hides in koi, but the carrier state and shedding with resultant KHV infection of cohabited koi has been demonstrated in controlled studies. It is very difficult to prove the absence of KHV. Isolating, testing and removing infected koi is currently the best practice we have to prevent KHV infection. Measures can be taken to reduce the risk of transmission of disease and isolate the disease to the quarantine area. Polymerase Chain Reaction (PCR) testing may be used for testing for the presence of a portion of the KHV genetic material (nucleic acid). There are at least seven PCR tests being used of varying sensitivity. PCR testing is usually unable to detect the carrier state. A negative PCR test does not mean KHV is absent. PCR testing is extremely valuable in quickly confirming the presence of KHV during a fish die off due to KHV. Individual fish can be tested for antibodies to KHV in a non-lethal fashion. If antibodies are present, it means the fish have been previously infected by KHV (or a KHV virus vaccine) and may later infect other fish. Different degrees of biosecurity are reflected in the length of quarantine at permissive water temperatures and the types of testing done. Although the KHV virus will grow in a wider temperature range, for purposes of quarantine, permissive quarantine water temperatures will be defined as temperatures between 23 degrees C and 28 degrees C (73.4 degrees F to 82.4 degrees F)(from International Workshop on Koi Herpesvirus). At these temperatures, most recently infected fish fish will show evidence of KHV disease or develop antibodies to KHV within a three week period. An additional level of biosecurity may be obtained by keeping Specific Pathogen Free (SPF) fish (fish known to be free of KHV) in the quarantine system. If a carrier fish happens to shed the virus while in quarantine, the SPF “canary” fish may break with clinical KHV disease (KHVD). It is unlikely the carrier fish will show signs of KHV disease (although they may secumb to whatever caused their immune system to be depressed). Not too long ago, quarantine procedures may have been the best we had to protect our ponds from the import of KHV. They are certainly better than nothing. Unfortunately, we can no longer say fish which have undergone prolonged quarantine at permissive temperatures without evidence of disease are free of KHV. Indeed, we know this to be untrue. Biosecurity surveillance may be additionally enhanced by testing some (or ideally) all of the fish in each quarantine group for antibodies to KHV. This testing should be done after fish have been in quarantine permissive water temperatures for at least 21 days. This time interval at permissive temperature shoudl allow any asymtomatic fish recently infected with KHV (durning cold water harvest, shipping, etc.) time to seroconvert and develpoe measurable antibody levels. An alternative approach is to test all fish in a group for antibodies to KHV prior to heating to permissive temperatures. An advantage of the latter procedure is that previously infected antibody positive fish can be removed before heating the water to permissive temperatures, probably reduceing the risk of infecting other fish. A disadvantage includes missing those fish which may have been infected in cold water amd later seroconvert. Antibody testing involves anesthetizing the koi and drawing blood from the caudal vein. The blood is centrifuged and forwarded to the laboratory where levels of antibodies to KHV are measured. If antibodies are detected to KHV, the koi has previously been infected and is a potential carrier of the virus with the ability to infect other fish. Koi which have been infected with a KHV vaccine may also show antibodies to KHV. High or rising antibody titers are usually associated with acute infection. Falling titers are usually associated with convalescence. Low titers would suggest a remote infection. It is unknown how long post-infection antibody titers are measurable but studies suggest antibodies titers are measurable for over 1 year. Individual fish have had antibody detected in excess of four years following KHV infection. It is unclear if this is the norm. Koi with high antibody titers would not normally be expected to be shedding the virus as the antibodies inhibit virus growth; however,animals with other herpesviruse may shed intermittantly with poor correlation to antibody level.Multiplication of the virus and shedding from an animal would likely occur at a later time after antibody titers diminish and the immune system may be depressed. Currently a prolonged quarantine period at permissive water temperatures utilizing “SPF canary fish” in conjunction with antibody testing of each and every fish is the best system we have to detect and prevent the spread of KHV disease. In the event of mortality, histopathology and PCR testing can be utilized to rapidly confirm KHVD. If KHVD is confirmed, depopulation and sterilization of the quarantine system and equipment is recommended. Deceased fish should be disposed of in a legal manner which will prevent infection of other fish or water supply contamination. This may be as simple as sealing the carcass in a plastic bag and placing in the garbage. The koi should be kept in the quarantine location until results of all tests are returned and treatment for any health problems has been concluded. A minimum quarantine time at permissive quarantine water temperatures is 28 days. If the water temperature is above or below the permissive quarantine water temperatures, the time outside the permissive water temperatures should not be included in the total days in quarantine. Quarantine time may actually be much longer than 28 days in order to achieve a total of 28 days of quarantine permissive water temperatures. Goldfish do not develop clinical KHV disease but some recent evidence suggests they may harbor the virus. It is currently unknown if they can be carriers of KHV. Until this is resolved, goldfish should not be quarantined or cohabited with koi. Ultimately testing recommendations will be replaced with vaccination recommendations at such time as a safe and effective vaccine becomes available. No system of testing and disease prevention by exclusion is ultimately as effective as vaccination. All animals must be tested, no test is absolute, and the negative animals remain highly susceptible to disease. “Testing is historical” whereas vaccination will alter the future, providing a barrier to KHV transmission.